Springing out from under the vendor’s tents, a variety of colors mark the walkways in between the booths. 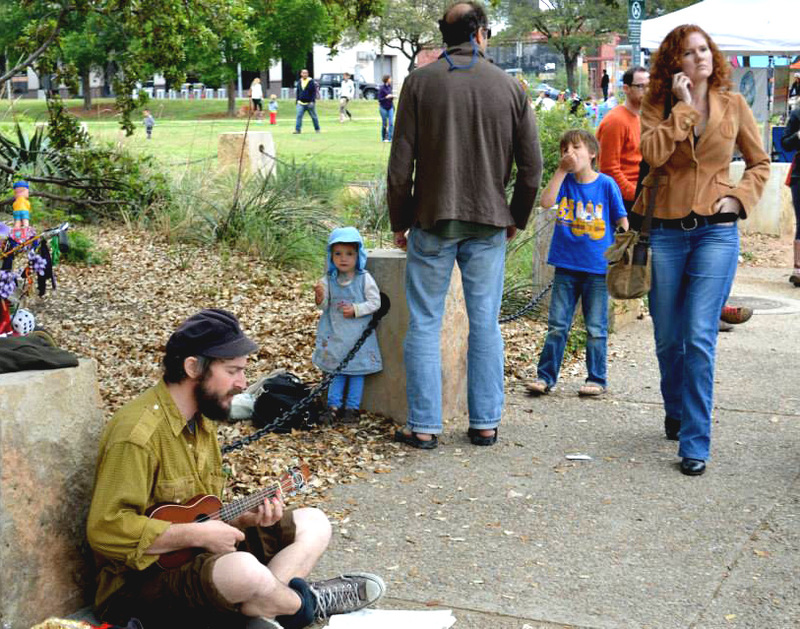 Families, couples and friends alike enjoy the relaxed vibes and live music of the Downtown Sustainable Food Center Market. 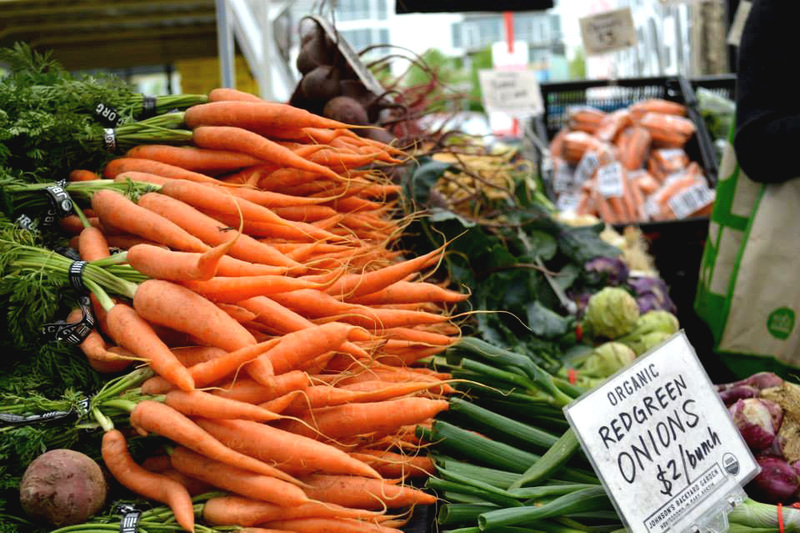 Located at Guadalupe Street and 4th St. every Saturday from 9 a.m. to 1p.m., this is an event that started seven years ago and welcomes those who support the efforts of hardworking growers and the local community. Farmers from Austin and surrounding areas come to sell their goods, which range from organic produce to goat meat to honey harvested from bee farms. One of the best parts about going to the market is chatting with the friendly vendors who are eager and willing to share their passion and the story of their products. Conrad Buford, a high school teacher in Georgetown who harvests honey bees as a hobby, created Round Rock Honey seven years ago. “He made more money selling his honey at market than from teaching high school physics, so one day he just went for it,” Patricia Overton, an employee for Buford, says. His hobby turned into a lucrative business that now includes around one thousand hives. 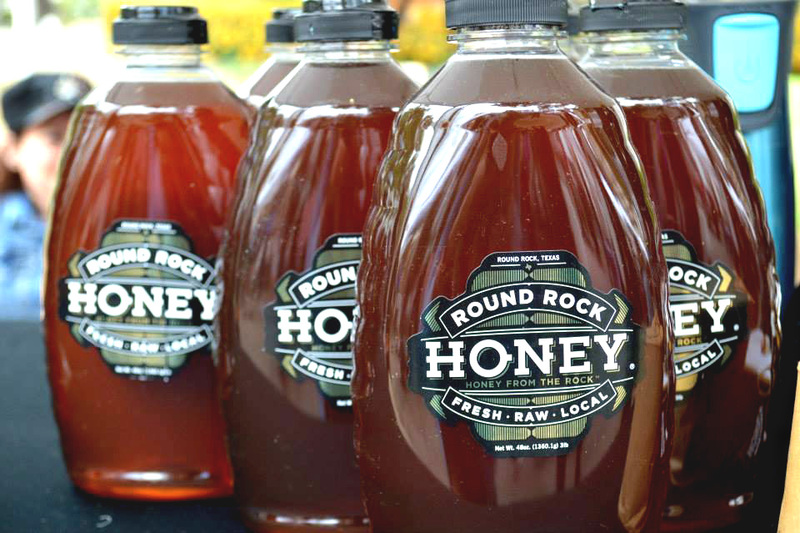 Round Rock Honey supplies honey for Star of Texas Whiskey, Jack Allen’s Kitchen and other local restaurants, as well as candles made from their own honey and beeswax. Ricardo Cruz, another vendor, was raised on a pig farm and now raises goats at his own El Cruz Ranch. At the food market, Cruz introduced his goat meat and sold cheese, soaps and lotions made from their milk. Cruz has dedicated his life to farming. He says, “I’ve done this all my life, and I love doing it.” He tries his best to live sustainably from his farm and the produce of his own garden. Vendors and food trucks also sell ready-to-eat food from their tents, so market-goers can sample and enjoy healthy food while they shop to fill their fridge with tasty seasonal vegetables. It’s a great opportunity to step a little bit out of your comfort zone and snack on something you may not be used to. 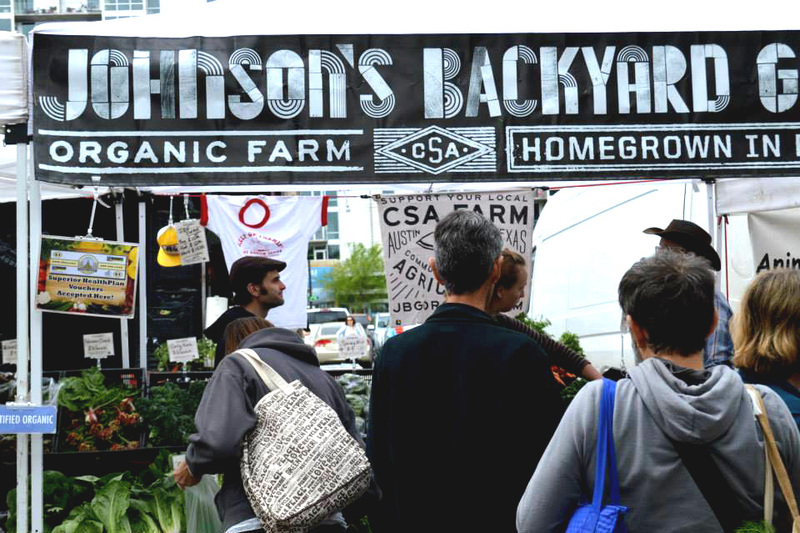 If you’re looking to try something new and support the local community, check out one of the four Austin area Sustainable Food Market locations including Downtown, Sunset Valley, East Austin and The Triangle. 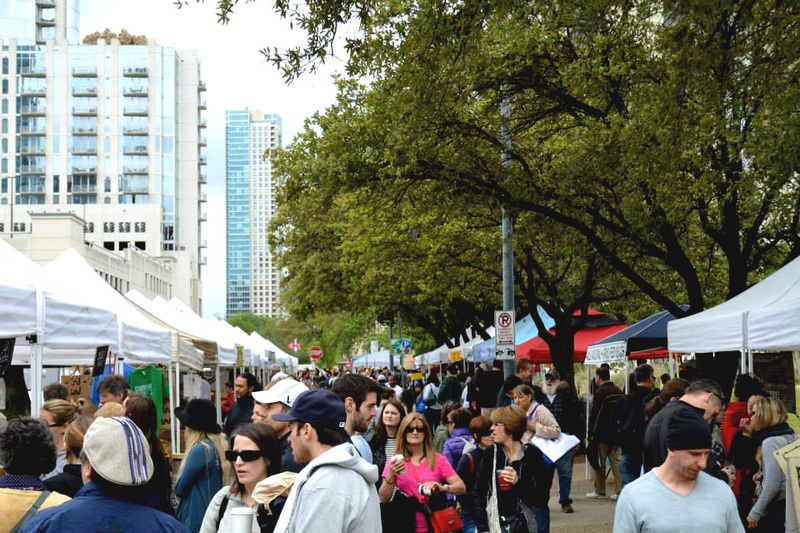 The farmer’s market is a great place to explore this weekend and experience an awesome aspect of Austin’s unique culture.